A Memorial Service in celebration of Maggie’s life will be held on Wednesday, May 16, 2018 at 2:00 P.M. at Crippin Funeral Home Chapel. The service will conclude at the chapel. In lieu of flowers, memorial contributions may be made to HopeWest Hospice, 725 S. 4th Street, Montrose, Co. 81401. Maggie Linville, age 95, of Montrose passed away May 7, 2018 at her home. She was born April 27, 1923 to Emilio and Angela (Garcia) Del Bouis in Fresno, California. Maggie spent her childhood in Los Angeles and graduated from Roosevelt High School in Los Angeles. Maggie met her future husband, John H. Linville and they were married October 30, 1964 in Palm Desert, California. John and Maggie resided in Los Angeles, Cathedral City, California, and Pleasant Valley area in Ridgway, Colorado before moving to Montrose where they made their home until Maggie’s time of death. Maggie operated “Maggie’s Bed and Breakfast” in Ouray during the early 80’s which was also the home of a former Colorado Governor. 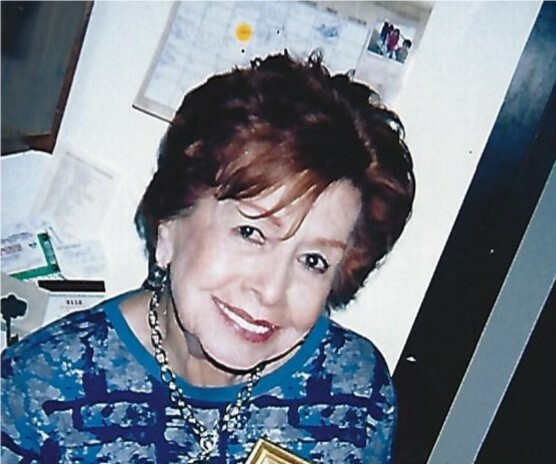 She was an avid league bowler and enjoyed the game for many years. Maggie donated her time in her retirement years at Heirlooms for Hospice, a Hospice shop located downtown Montrose for 17 years, and it was her passion. Maggie loved meeting new people and sharing her love and time. Maggie will be missed by her many friends she had met over the years. 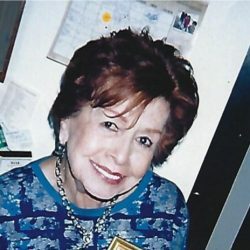 Surviving family members include her beloved husband, John; son Joseph (Mari) Kern of Palm Springs, California; daughter Linda (Dale) Putman of Chama, New Mexico; brothers John Garcia of Montebello, California, Manuel Garcia of Corralles, New Mexico, Roland Garcia of Indian Wells, California; five grandchildren and six great-grandchildren and numerous nieces and nephews. A Memorial Service in celebration of Maggie’s life will be held on Wednesday, May 16, 2018 at 2:00 P.M. at Crippin Funeral Home Chapel. The service will conclude at the chapel. In lieu of flowers, memorial contributions may be made to HopeWest Hospice, 725 S. 4th Street, Montrose, Co. 81401. Crippin Funeral Home & Crematory in Montrose is assisting the family.